Body rash. Swollen hands and feet. Bloodshot eyes. Red, cracked lips. Fever. This isn’t the beginning of a TV show ER drama. These are the symptoms of Kawasaki disease,* and if your child is experiencing them, it can be a frightening thing. Kawasaki disease is a rare childhood condition that most often affects children under the age of 5. It causes inflammation in blood vessels throughout the body.While it looks scary, complications can easily be avoided with early diagnosis and treatment. Fever that lasts for 5 days or more. Swollen hands and feet and redness of the palms and soles of the feet. Red, swollen, and/or cracked lips. In the third phase, signs and symptoms start to disappear unless complications develop. A key factor in ruling out these other diseases is whether examinations and tests are given. Your physician may recommend urine tests,* blood tests, or heart tests to aid in the process. Kawasaki disease is the leading cause of acquired heart disease in children,* but don’t let that worry you just yet. With the proper treatment, only a small percentage of children have lasting heart damage. Gamma globulin – Gamma globulin is an immune protein that is infused through a vein and can lower the risk of coronary artery problems. Aspirin – Aspirin helps reduce inflammation and may also decrease pain and fever. Except when treating Kawasaki disease, Aspirin is not typically recommended for children. Getting your child seen by a physician as soon as you notice symptoms can be really difficult. Too often, it seems likehealthcare centers are closed and busy hospital ER waiting rooms are full. 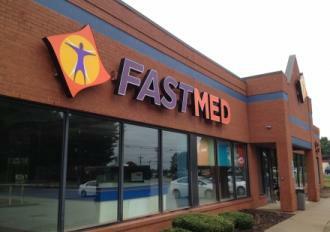 That’s where FastMed Urgent Care comes in. We are open 7 days a week, 365 days a year. It doesn’t matter if you notice symptoms of Kawasaki disease in your child on a weekday, weekend, or holiday FastMed will be here to help.